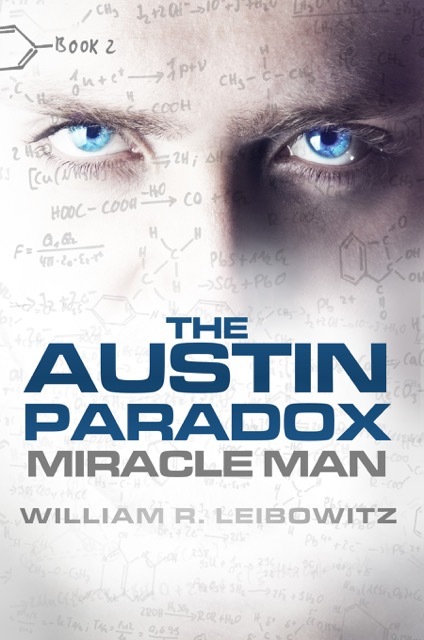 Miracle Man book 2 The Austin Paradox makes you think, Author William Leibowitz write a riveting story, giving the reader realistic, shocking and totally believable scientific breakthrough The book makes you feel like this could really be happening in our world today. The Austin Paradox is fantastic from beginning to end. Keeping it easy to turn the pages and keeps the reader wanting more. I recommend reading book 1 first (Miracle Man) however be sure to have The Austin Paradox nearby because you are going to want to jump right into the next book. The series is written with such intrigue. The research done by Mr Leibowitz is so spot on and extensive, I feel that is part of what made this book so good. The characters well-developed we need more Bobby Austin’s in the world.